The adventure of parenting leads us to make decisions on behalf of our children, sometimes painful, but in the end successful. Our interviewee was born in Ecuador and lived in the city of Cuenca, the capital of Azuay province. This is such a beautiful city that in 1999 it was named by UNESCO as a World Heritage Site. However, like most Latin American countries, this country is not safe from violence and economic hardship. 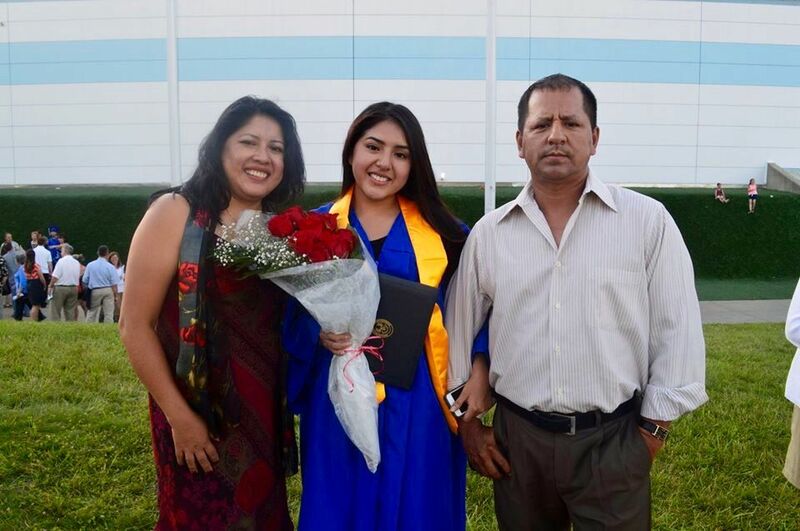 That is why Magaly’s mother, when she found that her parents had obtained visas to live in the United States, came with them, leaving her husband and children in Ecuador. Was this family breakup very difficult? “Yes it was, but we all understood that it was a necessary sacrifice for our family. My brothers and I were in Ecuador under the care of my paternal grandmother and an aunt. Only six months passed when, in 2006, the family met again here in Danbury. We are very close and have always had the support of our grandparents. In Ecuador, my mother was a homemaker, but here in the United States, in order to have a better education, she decided to work in a factory and support my father in the landscaping company that he owns. Do you admire your parents a lot? I then saw her eyes sparkle as she spoke of them: “The truth is that I admire the fact that they sacrificed so much to give us the best. I must also say that my mother is simple, kind, sweet and willing to find the good in everyone. My father is a friendly and helpful man. I grew up watching my parents help people around us. They do not know the phrase ‘I can’t.’ I also have an aunt that I consider an extraordinary human being. She is a single mother who has succeeded not only with her son, but also had a leading role in our upbringing and education. She is a very consistent woman, thoughtful, analytical. For me, she is simply my second mother.